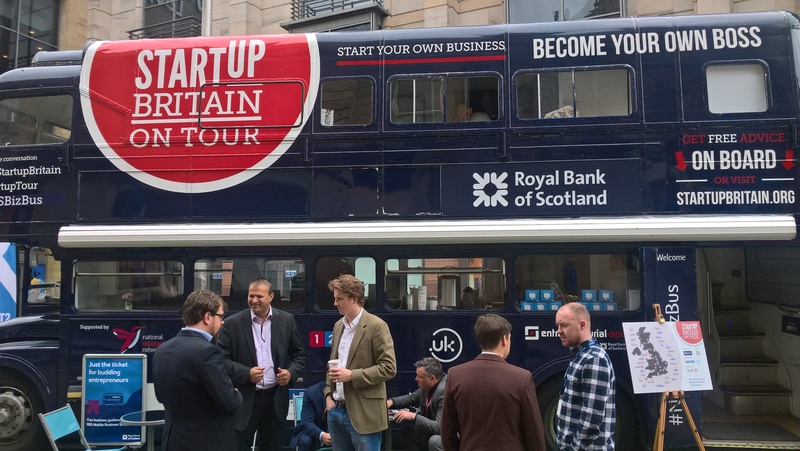 On Monday 21st June, a beautiful 1966 Routemaster bus visited the city of Glasgow with local business support agencies to talk to new and aspiring entrepreneurs. 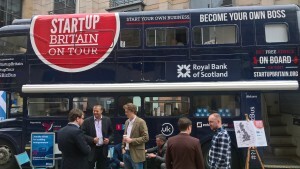 The StartUp Britain bus was on the first stop of its Scottish leg before going on to visit Edinburgh, Perth and Aberdeen. Now in its fifth year, the StartUp tour serves to encourage and promote entrepreneurship across the UK and bring together the entrepreneurial ecosystem in the various destinations. This year’s Startup Tour was launched at Buckingham Palace on Monday 13th June, with the ambitious intention of visiting over 30 towns and cities over the following 6 weeks. What was immediately clear in Glasgow was the rich entrepreneurial ecosystem in place. Along with our sponsors 123 Reg and RBS, we were joined by representatives from Unltd, Young Enterprise Scotland and First Port Funding, as well as local entrepreneurs such as Lesley Henderson from the Rare Malt Whisky Company. 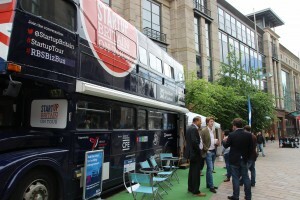 For this year’s StartUp Tour we wanted to extend the role of the bus by hosting roundtables on the health of the local ecosystem in each of the major cities. Many people often look to Scotland for an entrepreneurial ecosystem that is one that is alive, well balanced and doing a good job to support entrepreneurs. When we asked Geoff Leask, chief executive of Young Enterprise Scotland to chair the round table on the StartUp Britain bus in Glasgow he was keen to help and to bring some key points to the table for discussion to see how Scotland is faring in two key areas of the ecosystem. The first hot topic of the Glasgow visit was all about joining the dots between education and business and how the ecosystem could help? How are we doing at the moment – we could be doing a lot better was the view of some and making sure it is easy for smaller businesses to get involved should be a key consideration. Making sure the small businesses who have so much to offer to education is critical if we are to have young people who are more entrepreneurial in mind set and leave school with stronger enterprise skills. The second question raised by Geoff was in regards to the ecosystem resources; how do we share and collaborate effectively and ensure the resources of all are utilised to best effect to the benefit if the entrepreneurs. A temperature check on current collaboration showed a diversity of opinion on how good the Scottish ecosystem currently is. It was recognised that Scotland is often cited as being a model of good practice in the UK yet there is still more to be done. “It was great to be involved and to bring a good cross section of the ecosystem together under one roof (of a bus)” said Geoff Leask. “It is a good environment in Scotland to be an entrepreneur. There are great people and great organisations willing to help, signpost and support both the entrepreneur and potential entrepreneur and there is so much more that can be done. We need to look beyond the current boundaries and engage with organisations out with the eco-system and ensure the message about ‘Scotland CanDo’ is heard by all” continued Leask. If you would like to find out more about the support available in Scotland you should check out the StartUp Britain Local Support Map to find local business support in your area or even add support that is not listed that you know of or have found useful. There is a whole host of support available across Scotland that is available like Entrepreneurial Spark, Enterprise Campus, Young Enterprise Scotland, First Port Funding, UnLtd Scotland, Women’s Enterprise Scotland, UK Business Advisors Scotland, Scottish EDGE, Business Gateway and Accorn Enterprise, amongst many others. 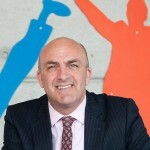 Geoff is the Chief Executive at Young Enterprise Scotland. 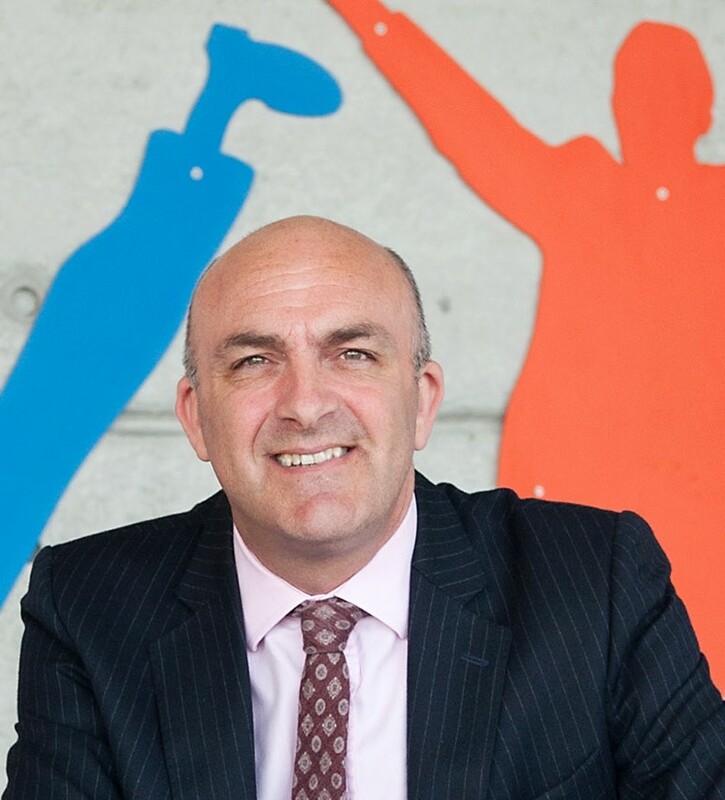 Geoff’s role is to ensure that Young Enterprise Scotland is positioned at the heart of the Scottish Entrepreneurship eco-system and has a major role to play in the synchronicity of a young person’s enterprise journey throughout the education system. Seeing the impact of our work on the young people of Scotland and being a part of a GREAT team is something which gets Geoff out of bed every morning.